Fall is a fantastic time of year in New York City. The crisp, colorful leaves are gorgeous and the coolness of the air is delightful – and what complements the season are the fun and exciting things you can do throughout the boroughs. 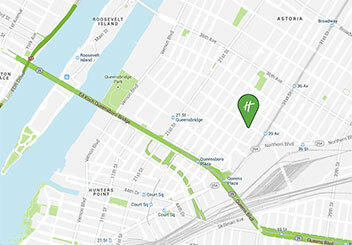 So, consider the Holiday Inn Manhattan View your home base during your fall-time stay in the city. Truly great theater openings and extraordinary deals are here. The buzz is phenomenal about It’s Only A Play, starring Nathan Lane, Matthew Broderick, Stockard Channing and Megan Mullally, among others, which opens October 9 at the Gerald Schoenfeld Theatre for a limited 18-week engagement. Many other shows are opening, and you can check out more information by clicking here. Treat yourself to more than one show-stopping performance during Off-Broadway Week from Sept. 29 to Oct. 12 where you can purchase 2 for 1 tickets. Let Columbus Day weekend (Oct. 11 – 13) be your reason to spend one or more nights with us. Get your spot on Fifth Avenue so you can experience the Columbus Day Parade on Oct. 13 where colorful floats and musical performances abound and delight parade-goers. Fall festivals afford exciting reasons to draw you into the city in October. Superheroes galore will be in full swing at New York Comic-Con taking place Oct. 9 – 12 at the Javits Center. 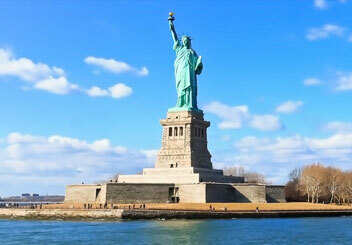 You can savor spectacular cuisine during the Food Network NYC Wine & Food Festival Oct. 16 – 19. Discover new music in bars and nightclubs across New York City at the CMJ Annual Celebration of Indie Music Oct. 21 – 25. Get your laugh on at the She-Devil Comedy Festival Oct. 22 – 26. Are you or someone you know running in the New York City Marathon on Nov. 2? The 26.2-mile race hits every borough and draws tens of thousands of runners and millions of spectators so make your travel plans now. For more ideas on how to enjoy New York City’s five boroughs this fall, check out NYCGo.com, Time Out New York and City Guide. Our concierge is more than happy to assist with travel arrangements – plus offer some fun-time suggestions, too, so be sure to stop by.